The Valley Local: Happy Christmas Eve Eve! Ha! 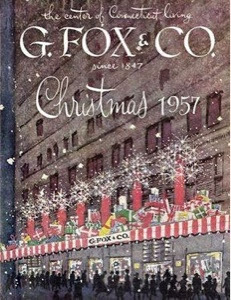 I'm old enough to remember going with my parents to see the G. Fox displays, and some toys you didn't see elsewhere in the store (Britain's toy soldiers, for example). Also the Festival of Lights on Constitution Plaza. The G. Fox brand name is now owned by Macy's.